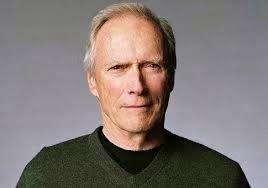 Today is Clint Eastwood's 84th birthday. So in celebration we will explore some of his legendary career. Mr. Eastwood has been part of the Hollywood Landscape for over 50 years, and he has remained a favorite amongst all generations. We begin our journey on the cattle trail. Rawhide was a show about life on a cattle trail. Clint Eastwood portrayed cattle driver Rowdy Yates, and this role was his first big break. Rowdy was considered a young inexperienced handsome hot head. He portrayed this character for 8 seasons and it made him a television star. 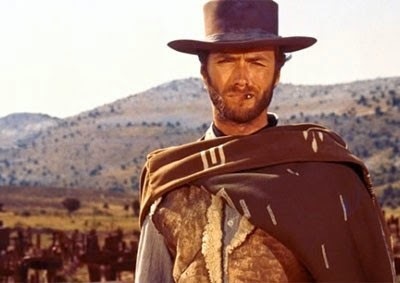 The Man With No Name is a trilogy of Spaghetti Westerns that began with "A Fistful of Dollars" in 1964. The trilogy included "For a Few Dollars More" and "The Good, The Bad, and the Ugly." These movies broke the Rawhide image and began a new phase in Clint Eastwood's career: the anti hero. In these westerns Clint portrayed The Stranger. His character had no name. He was mysterious. Tough. Deadly with a gun. 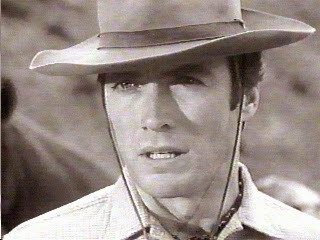 In the Dirty Harry series, Clint Eastwood portrayed Harry Callahan. The series consisted of "Dirty Harry," "Magnum Force," "The Enforcer," "Sudden Impact," and "The Dead Pool." Harry was a cop whom as the title suggests wasn't afraid to get dirty. He did what he thought was necessary to get the bad guys. 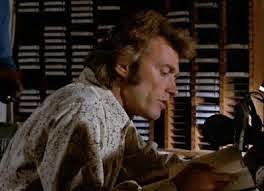 It could be argued that the Dirty Harry movies solidified Eastwood as the classic anti-hero of his time. Callahan was a man for whom the audience cheered, even though he didn't behave as the classically good guy cop. He had memorable lines that people still quote to this day. If you walk up to anyone on the street, they may not know much about guns, but they would probably know Harry Callahan's gun. This film marked Clint Eastwood's directorial film debut. He played radio jockey Dave Garver who found himself dealing with an obsessed stalker. The title of the film refers to the stalker, Evelyn, frequently calling to request the song "Misty." The film was received very well and it began Clint's journey as a successful director. This is a big leap from the 1970s to the 1990s. I am choosing to end with "Unforgiven," because this was my first introduction to Clint Eastwood as a director. Also, this movie is considered by many to have revitalized the western genre. Therefore, I thought it would be fitting to end it on this film. In the movie, Eastwood portrays William Munny. He is a man repenting the sins of his youth. A reformed murderer who has hung up his guns. He is convinced to help bring to justice men who had disfigured a female prostitute since the local sheriff is crooked. Since it has been many years that he has done anything of that nature, he is rusty with a gun and with riding a horse. It was hard for many in the audience to see Eastwood portray a man falling off a horse and not even able to shoot a gun anymore. However, watching Eastwood portray a man struggling to not fall back into old habits, but also be able to do what needs to be done resonated with a lot of people. Clint Eastwood is one of the few Legends that are still around. He is still active today with acting and directing. He is also a musician who has composed the musical score for some of his films. A talented man that we hope continues to influence and make movies for years to come. Happy Birthday, Mr. Eastwood. You have truly made our day. He also directed "Bird" about Charlie Parker. I quite liked that movie. And "Mystic River", the fantastic "Million Dollar Baby", "A Perfect World" (for me, Kevin Costner best performance), "The Bridges of Madison County", "Blood Work". All of these are, to me, great movies. I agree those are all great movies. I hadn't planned on doing a complete filmography, I just wanted to hit some of the highlights that were firsts in some ways. What Ana said...all of those were excellent films. A lot of people still have never seen "A Perfect World" but it's really a great film. Also, let's not forget "Gran Torino" which is one of my later faves. He just directed a film about Frankie Valli and the Four Seasons titled "Jersey Boys" coming out soon. My earliest memory of him is in the Spaghetti westerns. Those are still classics. Clint played a Navy Medic in "Away All Boats" and I think that was his first film. You have to watch quickly so as not to miss him. Thanks for the comment. 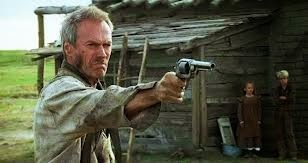 I was originally going to include Gran Torino as the final film but I decided to leave it at Unforgiven.